Filed by former employees, the complaint accuses Google of systematically paying women less money. A class-action complaint is adding to the mountain of discrimination accusations against Google. On Thursday, three ex-Google employees filed a complaint against the company. They argue Google routinely gives its female employees less pay and fewer promotions or advanced opportunities than their male counterparts. In response to the complaint, Google told USA Today it still needed to look over the suit but disagreed with the general allegations. This new complaint comes at a time of major federal scrutiny for the company. 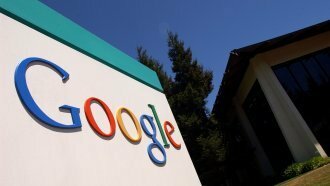 The U.S. Labor Department is currently investigating Google for pay disparity. After reviewing 2015 employment data for about 21,000 workers, the agency reported "systemic compensation disparities against women pretty much across the entire workforce." Earlier this month, The New York Times published its own investigation into the issue. The paper obtained a spreadsheet with salary information for almost 1,200 Google employees in the country. It also shows women are generally paid less than men. The latest complaint against Google extends to all women employed by the company within the last four years. The plaintiffs are asking for Google to pay restitutions to those women. Kelly Ellis, one of the plaintiffs in the case, said her suit goes beyond Google. She hopes it will prompt other companies to "change their practices and compensate everyone fairly."